On Bikes, Boards, Blades, or Skates - Ride for Climate Justice! 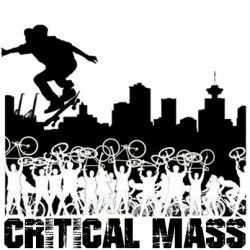 A pre-party bike ride to Party Against the Pipelines: A Carnival for Climate Justice, critical mass style! Transform the streets with our bikes, boards, blades, and skates, and create the positive energy that says no to dirty energy. Let’s build community to create the alternative systems we want to live in! System Change Not Climate Change! With dancing folks on bikes and wheels, lots of music (there will be a sound system and feel free to bring your own), come in costume, deck out your ride, and bring fun things to share like balloons, bubbles and sparklers! This Ride is about Liberation, Empowerment, and the Carnival Spirit of a Pre-Street Party buzz! Get excited. Very excited! There will be First Aiders on the ride but we ask you to please think about your own, and others’, safety. For accessibility reasons, we’ll be riding at a pace that works for everyone. Remember a bike lock so you can lock up and join the dancing (and maybe bring a spare for those who forget one). Also note this will be a dry ride.